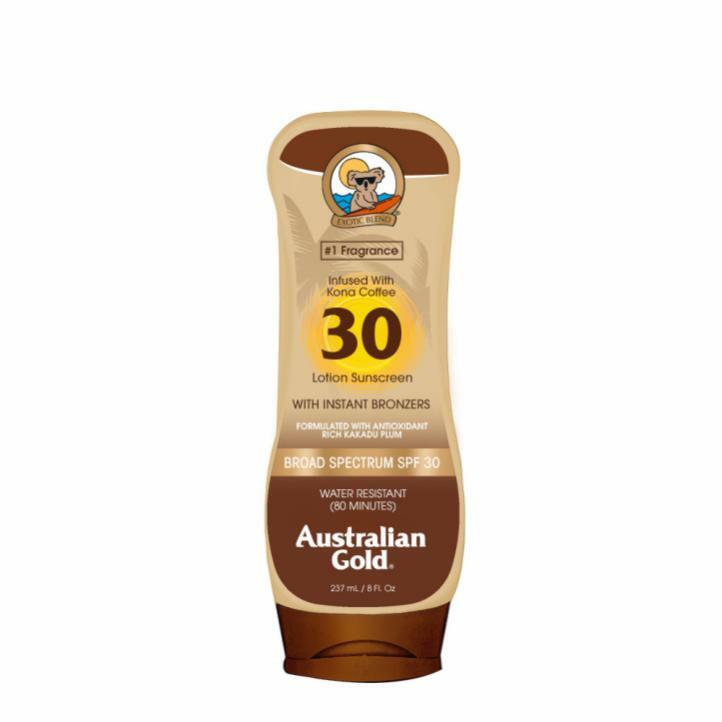 Enjoy life with confidence when you give your skin the unsurpassed protection and bronze tones of Australian Gold sunscreens. 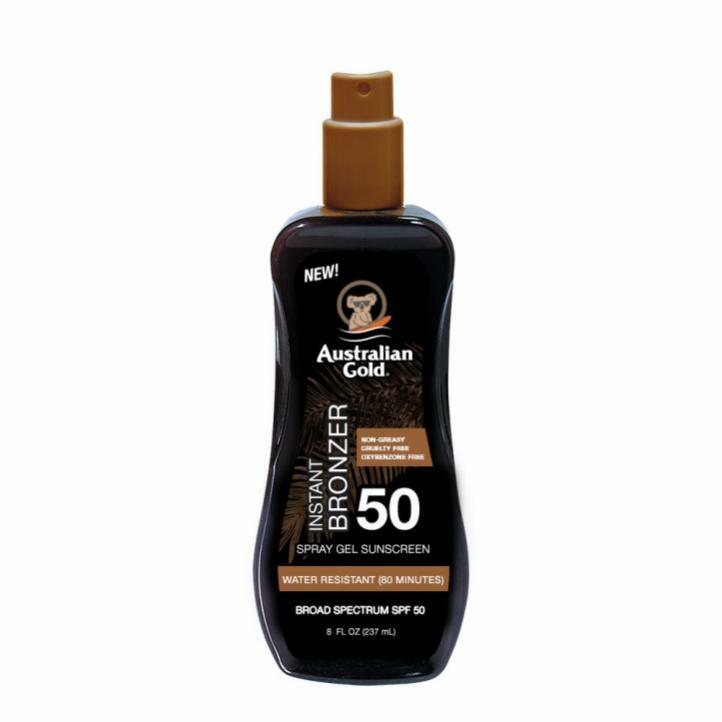 Our bronzing sunscreens give you temporary color for an immediate golden glow. All products are made with real, nutrient-rich Australian ingredients. We are always innovating to bring you the best products that you’ll love to put on – because wearing your sunscreen should be easy and enjoyable. Embracing our roots, each product contains native Australian ingredients like Kakadu Plum, which is known to promote collagen production with helping protect from free radicals and Tea Tree Oil, a powerful antioxidant that works to help gently cleanse for smooth skin. Each bronzing sunscreen contains our signature Cocoa Dreams fragrance. This delectable scent is a delightful combination of Coconut, Orange and Vanilla. When making our products, we hand pick every single ingredient to create the best formulas. 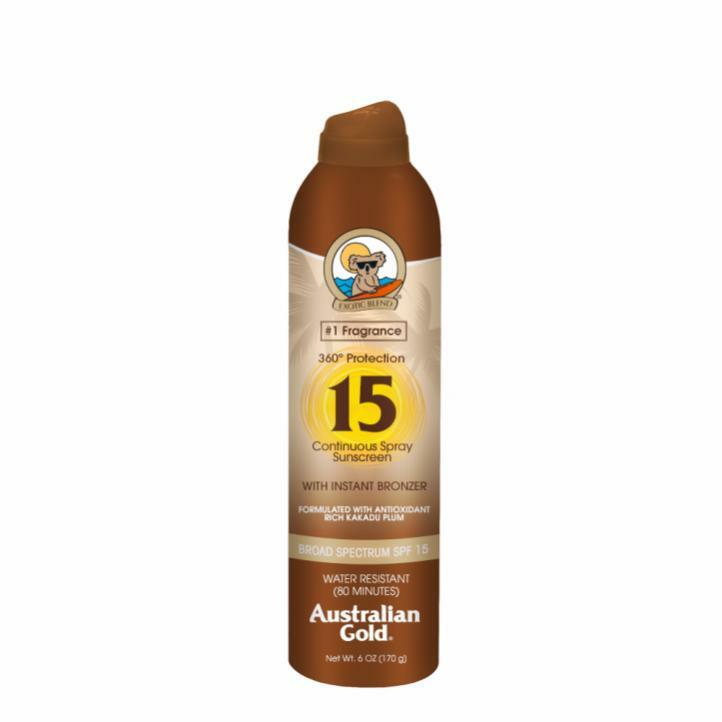 We pack native ingredients into each formula - including caramel for a rich, golden glow. Immediate color washes away while providing soothing hydration for you and offering application types for whatever your preference may be.